China is a beautiful country with amazing food and king people. However, if you are traveling to China on vacation or for business purposes you will find that using the Internet is challenging. 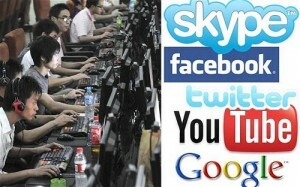 China restricts access to the Internet and prevents you from access everything the worldwide web offers. If you want to get on Twitter or your Facebook account, you will find that you cannot because of the government’s firewall. If you just want to watch the BBC back home or access a streaming video site, such as Hulu or Netflix, again, you will find that you cannot. Because of this censorship, you will find the need for a Virtual Private Network (VPN). This service allows you to bypass the Chinese firewall and access everything on the Internet. The problem with VPN services is that they are not all the same. That is why we try to help you find the best and fastest VPN in China. Access speed or bandwidth plays a major role in the quality of a VPN service. Many of the free VPN providers use PPTP, which is being blocked by the Chinese government and do not allow you to bypass the government’s firewall. These services also have less bandwidth, which prevents you from watching streaming videos, like the ones found on YouTube. That is why finding the fastest VPN in China is important. The more bandwidth allotted by a VPN provider, the better the quality connection you will have. Plus, you will be able to watch any streaming videos you want without interruption. If you don’t you will find that your computer will continue to stop to buffer the connection, or the streaming video will not work at all. Now that you know you need a China VPN service to gain access to everything you are used to on the Internet, you need to find the fastest VPN in China. This can be difficult, because you don’t really know how fast a VPN service is until you start using the provider. That is why we have taken the time to do all the research for you. We found that three providers are the fastest VPN in China: Hidemyass, Expressvpn and Strongvpn. What we did was subscribe to several VPN services from inside China and start using them. After looking at the bandwidth provided and connecting to BBC programs, Netflix, Hulu and YouTube, as well as other streaming video sites and television networks, we found Hidemyass, Expressvpn and Strongvpn to be the fastest VPN in China. Our experts also looked at how many countries each VPN service had servers, the protocols made available to their members, customer comments, IP addresses available and cost. But, most importantly, we looked a how fast each VPN service was when we connected to streaming videos or watched television programs. After using hundreds of providers, these three outperformed the others. We did take the time to choose the top 5 fastest VPN in China and they are listed below. You can take the time to look at each one and decide for yourself which one is the fastest.